What memories will you make this Christmas? Finding the perfect gift for your other half or another couple can often be a tricky task. They say the best memories are those we share so to help you put a smile on their face this christmas we have pulled together a list of some of our top Gift Experiences for Couples. Enjoy the tranquility of the outdoors and sleep cosy in a fully furnished Luxury Solar Powered Bell Tent. Waking up to a spectacular view of the Binevenagh Area of Outstanding Natural Beauty. Spend an evening toasting marshmallows on your private fire pit or just kick back with a glass of fizz! Let them loose on the spectacular mountain bike trails in Castlewellan Forest Park. Kitted out with everything needed to get started simply book, collect and go! With lots of trails to choose from there is something for everyone whatever their ability. Discover deserted islands and hidden bays during a 2 hour self guided tour of Lough Erne on your very own pedal kayak. Sit back and relax to enjoy an al fresco gourmet afternoon tea waiting for you in a secluded spot on the river banks as you take in the beautiful views across the water. With the Mourne Mountains as its backdrop, this tour pairs gentle cycling, stunning scenery and simply delicious artisan food as well as the famous filming locations. You'll recognise scenes from Game of Thrones, The Fall, Line of Duty and Dracula Untold before enjoying traditional 'Honeyed Afternoon Tea'. The only way to see the legendary Causeway Coast in all its glory. Join the local experts from Aquaholics aboard their high speed boat heading over to Rathlin to view the spectacular sights of the West Lighthouse and puffins at the bird sanctuary from the water. A minibreak with a difference, spend the night in a cosy heated camping pod in the enchanting Castle Ward Estate after a day of exploring on bikes. Wake up the next morning and choose an additional activity to do together including Game of Thrones Archery dressed as a member of the Nights Watch or canoeing on Strangford Lough. The perfect day out for adenaline junkies and competitive couples. Get behind the wheel during an off road driving experience, fly high on the 500m zip line and feel your pulse race on the Hill Rally. We know Christmas Shopping for the men in your life can sometimes be difficult. Avoid the classics this year and pick something completely unique! To help you out we have put together some helpful suggestions to help make your Christmas shopping experience a success. Send him rolling down a purpose-built run inside a giant inflatable 3 meter ball at speeds of over 20mph. As sky and grass blend into one blur of adrenaline fuelled exhiliaration nothing can quite describe this unique experience that is guaranteed to leave him buzzing! An opportunity to learn the basics of Stand Up Paddle boarding (SUP) in the very place where the award winning HBO television series Game of Thrones was filmed. During this session he'll explore the "Iron Islands" from his SUP board under the watchful eye of one of Northern Ireland's top SUP instructors. Just a stones throw from Belfast City Centre, he's sure to have a lot of fun paddling the River Lagan. No experience necessary all equipment and instruction will be provided for a fun filled session. Much more exciting than the daily commute he'll get a chance to take to the wheel to conquer the muddy climbs, drops and hazards alonng the 8 mile off-road driving course! Finishing off his day crossing a stage of the course at rally competition speed! He's sure to have a blast shooting down a few clay birds from the sky, whether he has never held a gun before or is an experienced shooter. This is the perfect opportunity to learn the basics or further develop his skills in the New Year. Kitted out with a Vitus Mountain Bike and helmet he's sure to have an epic morning/afternoon exploring the legendary Castlewellan MTB trails. With over 27.5km of green, blue and red grade trails a great day out is gauranteed whatever his ability. Add an extra boost to his day by booking him an electric bike. Inspirational things can be achieved through walking. Whether it be raising money for charity by taking part in a sponsored walk or improving your lifestyle and health by upping your daily step count. 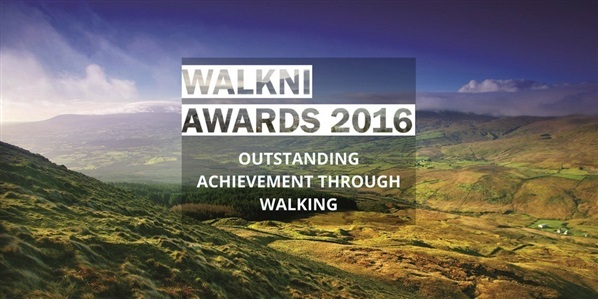 In an effort to recognise some of the most inspirational feats achieved by putting one foot in front of the other and in a bid to inspire others, we have created the ‘Outstanding Achievement through Walking’ category in the inaugural WalkNI Awards. Read the nominees stories, be inspired and help recognise their fantastic achievements with your vote. Belfast father–of–two Paddy Lynas once thought his life was over. He suffered from depression over his newly diagnosed lung disease, the resulting loss of his job and the death of several close family members. Now, just a couple of years later, he walks 12 miles a day and is off all medication. He no longer takes drugs to control his chest condition, bronchiectasis, and in 2015 was officially discharged by his consultant. Defying all the odds he has completed the Belfast City Marathon and last year climbed Slieve Donard raising funds for the charity. Paddy explains, “Northern Ireland Chest Heart and Stroke gave me my life back, so I’m going to do everything I can to help anyone else who might find themselves in a similar position.” Hear Paddy tell you in his words how Chest Heart & Stroke and walking helped turn his life around for the better. 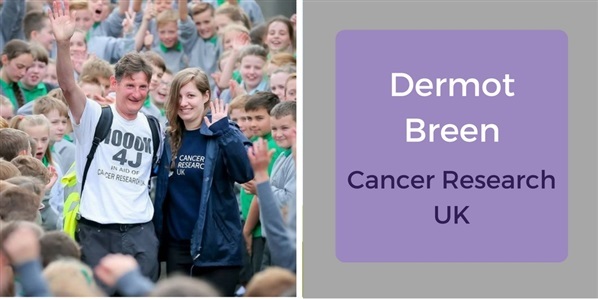 Having pledged to walk the entire Ulster Way in memory of his wife Jacqui, Dermot Breen completed his long distance walking challenge over 38 days raising thousands of pounds for Cancer Research UK along the way. Inspired by the book ‘The Unlikely Pilgrimage of Harold Fry’ (a firm favourite of the couples), in which the title character walks 627 miles to visit a terminally ill colleague Dermot (who by his own admission was no natural walker) pledged to walk even further and did so covering a distance of 652 miles, in memory of his wife. 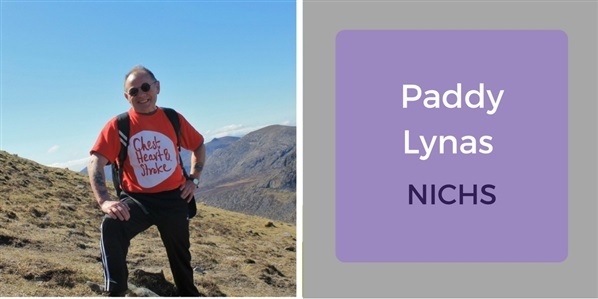 Since completing this challenge Dermot has gone on to walk the Camino de Santiago in Spain raising even more money for the charity and the Great Wall of China in aid of NI Hospice. 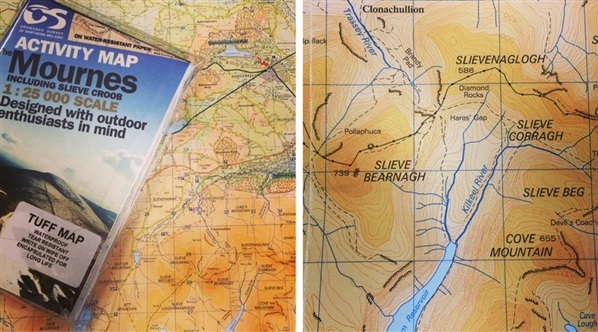 You can read about his experience here, ‘the Unlikely Pilgrimage of Dermot Breen’ or follow his walking adventures on Facebook. 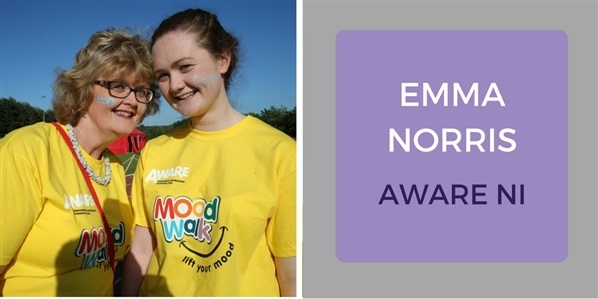 Undergoing treatment for depression, Emma chose to celebrate her 18th birthday at the Belfast AWARE Mood Walk. Too unwell to celebrate her birthday at the time, the 18 year old decided to mark the occasion with 18 of her friends by participating in the AWARE Mood Walk at the Mary Peter’s Track in Belfast. Emma explained, “Participating in a charity walk is probably not how most 18 year olds would choose to celebrate a birthday, but for me this is very important. Last year I was diagnosed with depression and it was an extremely difficult time in my life. …I have received so much support from my friends and family in the last year and by participating in the AWARE Mood Walk, I am able to bring everyone together in a bid to stamp out the stigma that’s still associated with depression.” In a brave move to tell her story and help educate and inform people about how to talk to someone with an illness that people can still find very difficult to talk about, Emma released a video during Mental Health Awareness Week in May 2016. 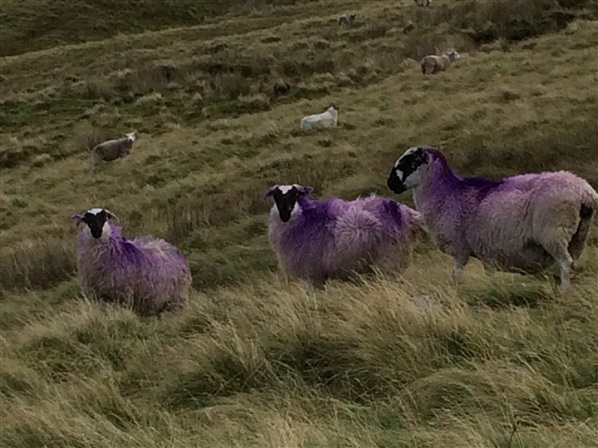 To find out more about the series of Mood Walks visit AwareNI. The Moore family have been selflessly supporting Cancer Focus Northern Ireland for a number of years through different walking, running and rugby events. Diane and Patrick Moore first got involved with the charity by organising the 26.2 mile Ards Peninsula Marathon Walk. Organising and taking part in the event again the following year they didn't even let a snow storm stop them from completing the walk! Making it a family affair, their daughter Abbie and friend Molly took it upon themselves to organise the 20 mile ‘Dog to the Duck’ charity walk challenge from Bangor to Holywood and back. 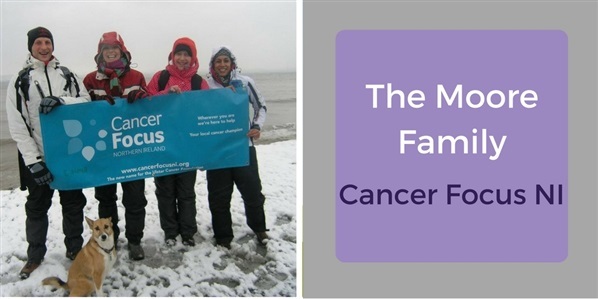 Since 2012 the Moores have raised over £8,000 for Cancer Focus NI through their all-weather walks, not including donations to other charities, such as Lendwithcare and RVH Liver Suport Group who have also benefited. All the money they have given to Cancer Focus Northern Ireland has been used to support cancer patients and their families in NI, promote healthy lifestyle messages through cancer prevention and advocacy work, and for research in QUB and UU. 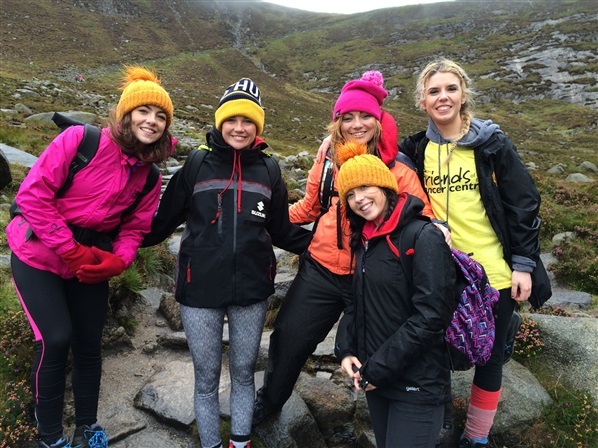 Keep an eye on the Cancer Focus NI events calendar for future Cancer Focus NI walking events. Our mountains offer fantastic opportunities all year round with the often termed ‘off’ season being no different. Changing colour, changing light and the all too familiar changing weather all add to what is already a privileged experience. Whether you’re inspired by the natural beauty or the raw challenge, autumn is, without doubt, the time to get up there. That said if you’re more akin to our summer conditions, the autumn can pose various considerations, not least the potential increase in risk. Without the correct approach, this can prevent participation or if you dare venture out, an actual increase in risk. The ‘unplanned’ can provide some great tales of survival but also lead to an impromptu introduction to the local Mountain Rescue Team. So, how do we make the most of the mountains in autumn without the drama or more importantly, the crisis? There’s no guarantee of good weather at any time of the year and hence you should never drop your guard, but there’s no doubt that with autumn comes significant change. The most obvious change is the drop in air temperature alongside the potential for increased wind and rain, all of which can be extreme. Bearing in mind that forecasts are predominantly for lower levels, you will need to consider the multiplier effect of the mountains. The higher you travel, the lower the air temperature, the stronger the winds and the heavier the rainfall. The terrain is never necessarily easy as they are mountains after all and something that should always be considered, but again, autumn does bring added challenges. The seasonal change does affect the typical mountain surfaces with moorland, heathland and rock all becoming treacherously slippery. Consider the addition of the prevailing mountain weather and how the terrain changes accordingly and more than often rapidly. Swollen rivers, frozen surfaces and even strong winds in exposed locations can all have an impact. 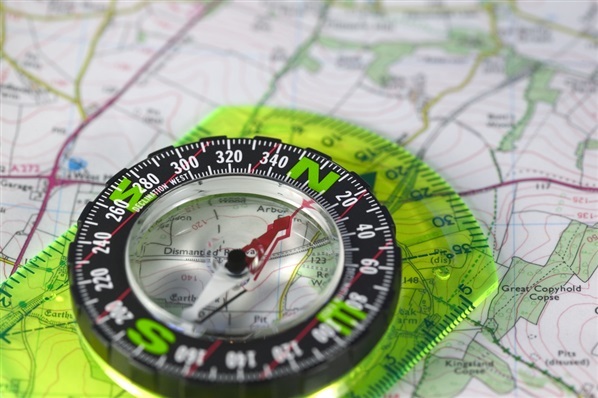 Finding your way in the mountains in summer can be fun at the best of times but add the autumnal navigational challenges of reduced visibility and even darkness brings a whole new dimension. The culmination of the weather and terrain combined with reduced daylight hours often collectively catch out even the most experienced walker. Any one of the above can lead to an ‘unplanned’ event such as a simple delay or discomfort, while exhaustion, hypothermia and even injury are all equally realistic possibilities. 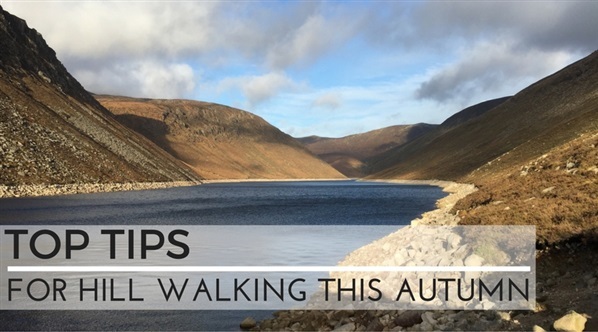 And remember, it’s a fine line between an Autumnal walk, which you’re now prepared for, and a Winter epic. Even in the Mournes, winter conditions can be extreme so watch carefully for that often subtle seasonal change. A good coat's essential although the colours optional! To hear more about the great work that the Mourne Mountain Rescue Team do and any opportunities to help support them, keep up to date via their Facebook page. Martin is a professional Mountain Instructor and a full member of the professional body the Association of Mountaineering Instructors (AMI). Martin is currently a Director with the Life Adventure Company alongside being a Rescue Co-ordinator and Training Officer with the Mourne Mountain Rescue Team. What memories will you create this Christmas? Will it be another December filled with socks and jumpers, or an adventure on the horizon for a special someone to look forward to? With an OutdoorNI Gift Voucher you’ve got guaranteed good memories coming your way, and whether it’s adrenaline-fuelled, flavour-filled or completely unique, you’ll find something sure to put a smile on their face this Christmas. Buying the perfect present is just one click away without having to brave over crowded shops and the cold winter air. Click here to check out OutdoorNI's action packed list of adventures where you are sure to find the perfect gift for him, for her, for couples, for families & kids. Why risk buying them the same present as someone else! You won't find our adventures on the high street this Christmas, so why not think completly outside the box this year? From a pedal kayaking treasure hunt & Game of Thrones themed archery session to extreme downhill zorbing & adrenaline fuelled off road driving taster experience the list is endless. We’ve got the always tricky festive present buying for couples locked down, with our out of the ordinary collection of couples adventure vouchers. Get double the presents sorted in one day buy giving your parents, inlaws or other half a memorable experience to share this Christmas. Some of our favourite experiences include; Couples Mountain Bike & Kayak Experience, Couples Mourne Food & Film Cycle Trail with Honey Afternoon Tea and Couples Glamping & Adventure Package. Many of us have inevitably experienced the joy of material gifts fading quickly and even the most anticipated present soon becoming a chore to clean up. Thankfully memories last a lifetime so this won't happen with our adventures! With all vouchers valid for 10 months from the date of purchase the choice is theirs to book a time and date to suit them in the New Year. Whatever gift experience you pick, sit back and enjoy seeing the smile on their face when they discover what's inside the envelope on Christmas Day! To guarantee delivery for Christmas purchase your gift voucher before 12noon on Wed 21st Sept 2016. E-Vouchers are also available for any late Christmas Shoppers! !